The NSA is willing to go frighteningly far for your secrets, but at least one hardware manufacturer is willing to go further. A Cisco executive just said his company will ship its networking equipment to vacant addresses to avoid NSA interception. Clever idea. 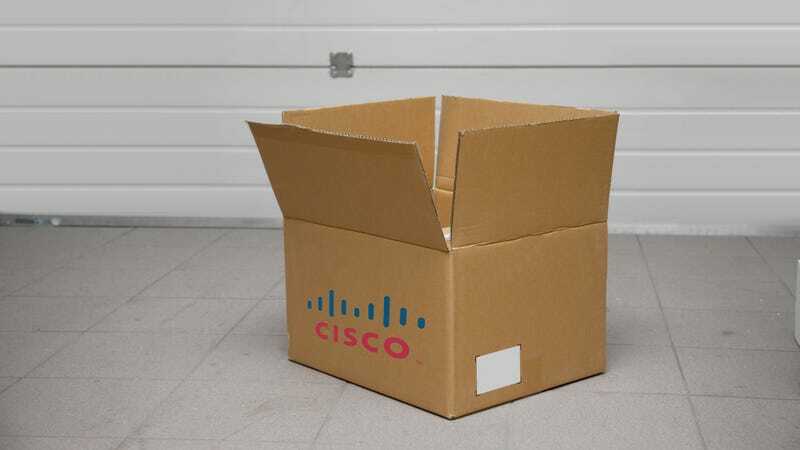 The NSA was caught putting backdoors in Cisco electronics last year, and this week Cisco's security chief John Stewart revealed the dead drop plan to skirt the government snooping, admitting it's not foolproof. "We ship [boxes] to an address that's has nothing to do with the customer, and then you have no idea who ultimately it is going to," he explained. "There is always going to be inherent risk." Of course, Cisco is also trying to figure out exactly who has NSA beacons already installed in their equipment, though it's hard for them to tell since they have no idea what the NSA's top secret technology. The company's best bet is to ask customers to pick up the equipment directly from the factory or ship it to an empty house, as if it were some sort of drug deal. Because this is what surveillance in America has come to.